It’s the happiest day of your life and you want to remember it forever. Your reception hall needs that one last decoration to make it perfect. UI has now developed that perfect decoration that will be a keepsake of your special day forever. 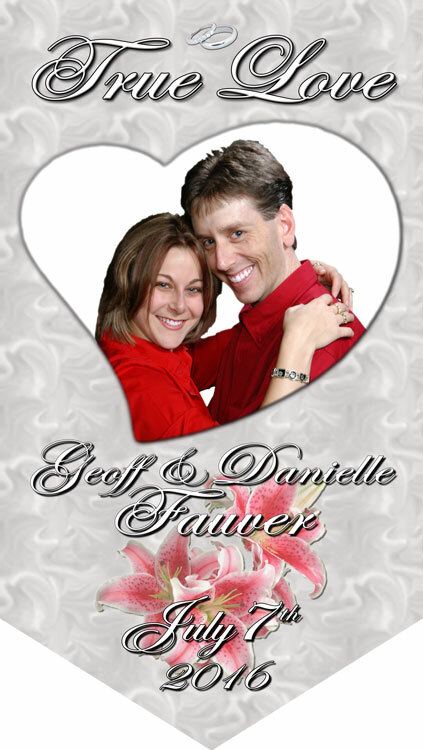 Our “Special Occasion” banner process can take your engagement, anniversary or even graduation pictures and transpose them onto a 34 x 60 banner with lifelike quality. After you hear all of the accolades from your guests at the reception, you simply fold the banner up and place it in a sealed bag and store it as you would the wedding dress or the cake topper. If a wrinkle appears, simply steam the banner and it is ready to go again for that 10 year or 25th year Anniversary. You won’t believe how easy we have made it to design your own banner in just a few minutes. Take a look at our samples banners!